Hike up Lions Head. Very steep, but not really dangerous, most beautiful views on the city, Table Mountain and the sea. Join the party on top by full moon! Count 1 hour up, half an hour down. Take the mountain bike along the slopes of Table Mountain (2 – 3 hours). Book a Township Tour and experience the “other side of Cape Town” and the friendliness of the people. See the beautiful people on Camps Bay beach or Clifton 4th beach. Relax on the more remote nudist beach of Sandy Bay near Llandudno. Go on a sunset cruise from the V&A Waterfront. 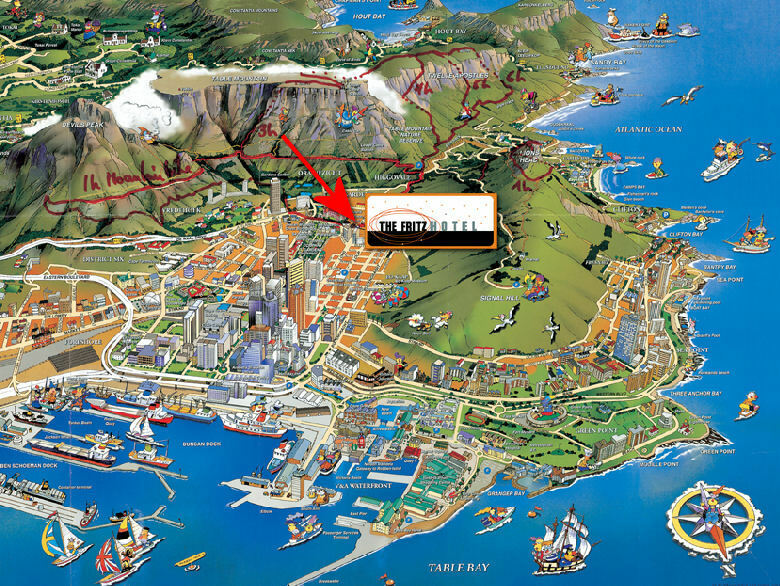 Fly around the peninsula and Table Mountain by helicopter. Cape Town has a wide variety of excellent restaurants with very good prices. Most of them offer international fusion cuisine, but you will also find authentic Thai, Vietnamese, Indian, Japanese and Chinese restaurants of quality. Seafood and Sushi are outstanding, as is the meat, especially the South African lamb and beef. Booking is essential in high season and some restaurants are fully booked several days in advance. Find below our personal choice of places to eat, the best ones first.